"Any kind of bird freaks me out!" They feed on dead flesh What is more creepy than that? Remember those old western films where vultures scooped in to nibble on the poor dying man in the desert? 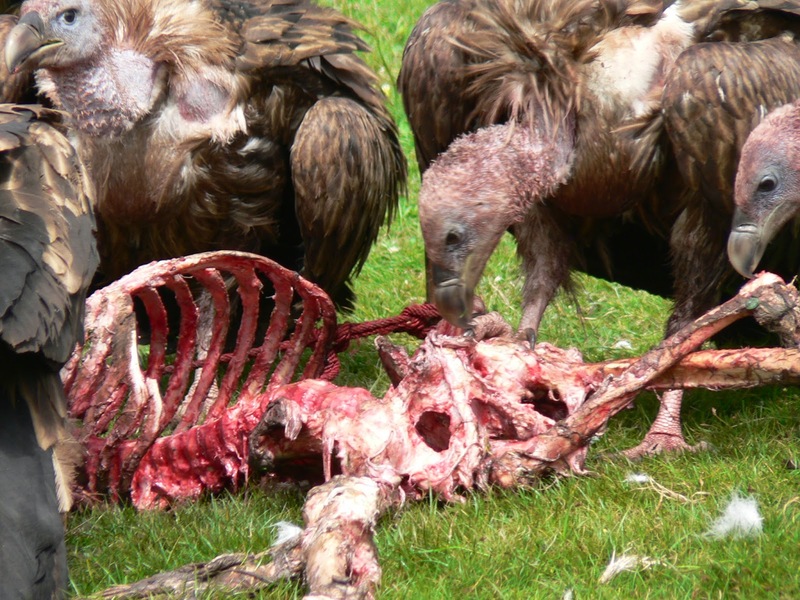 There are some cultures that put a dead person on top of a mountain to let the vultures consume the remains. I don't know about you but the thought of being eaten by a bird or any other animal even after I am dead is just to creepy for words. I guess being eaten alive, having your bones picked slowly by a vulture would have to be the worst kind of death. What about you, what kind of death do you fear the most? Eaten alive would be awful. At least vultures are good for cleanup. Eaten alive, buried alive, brutally murdered... all of these are on my Unfavorable Ways To Die List. I think I'd rather freeze to death than be burned at the stake. Anything slow is not good. I also don't like the idea of being swarmed by raptors a la Jurassic park, but that isn't as likely. . . I think if you are weak enough the vultures start in on you while living. Brrrr!